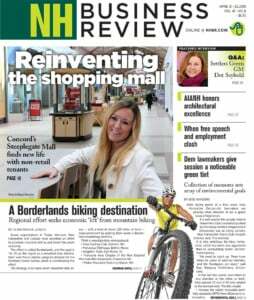 New Hampshire employers that employ seasonal workers from other countries could be finding themselves with job openings this summer. It all hinges on whether the federal Department of Homeland Security and the Labor Department can work out new regulations in April for H-2B visas. On March 4, a Florida court ruled that, under the Immigration and Nationality Act, the Labor Department does not have the authority to issue legislative rules governing the H-2B program. That invalidates the 2008 regulations that are meant to provide assurance that U.S. employers are making every attempt to employ local workers. 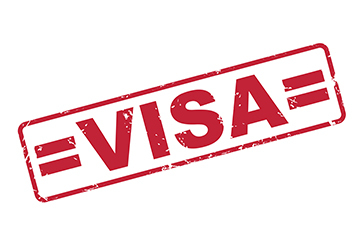 After the ruling, both federal departments stopped processing H-2B visas applications – until March 18, that is, when a different order allowed the process to continue for a set period of time in order to avoid a detrimental effect on employers. “I don’t think it makes anyone particularly comfortable,” she said. All this means is that by April 16, the application process will come to a “grinding halt,” leaving any applications not processed in limbo. It’s not as if this should have come as a surprise to either of the departments. Karimi cited a 2010 case in which the same district court deemed the H-2B regulations to be invalid, but that original ruling was ignored. When the case was brought back up that Labor did not have the authority to implement the rules, it went straight to “a matter of law,” with no oral arguments or evidence, said Karimi. But even if everything is worked out, the expense of bringing over foreign workers is becoming too burdensome for employers. “It’s so involved and so expensive to have someone come for such a short time period. A lot of businesses view it as cost prohibitive or time wise prohibitive,” says Karimi. She says there are pockets of businesses like wineries or other seasonal businesses that employee the seasonal foreign workers. In fiscal year 2013, the Office of Foreign Labor Certification certified 363 total positions and 26 applications for H-2B visas. Portsmouth, Nashua and Laconia took the top three spots for cities with the most H-2B visas granted. Indeed, since 2008 the Department of Labor has designated a prevailing wage for foreign workers that increases annually, another way to deter employers from seeking workers abroad. According to flcdatacenter.com, a food server in Portsmouth with an H-2B visa must earn $9.81 an hour. A maid in Portsmouth must earn $10 an hour. On top of that, visa fees are a few thousand dollars, said Karimi, not including attorney’s fees. That’s significant for a visa that lasts less than one year. But Somers said the hospitality industry still capitalizes on foreign workers. He said he had received calls from businesses wondering what was going on, but nobody was in a panic.